There is no better way to start a week than to attend church and have the joy of worship with other believers and especially your own family! Recently while purchasing a cup of coffee, the girl behind the counter made a negative comment about the fact that it was a Monday! For the believer, our week begins with the celebration of our risen Lord and Savior, Jesus Christ, through local church worship! What a way to start a week! Baptism of a new convert who trusted Christ as his Savior and Lord on Tuesday morning visitation. To see his joy when he came up out of the water was priceless. Then to look out and see his wife’s reaction added to the blessed joy of the moment! The study of God’s Word in Sunday School using the Answers in Genesis material for children through adults. Sure enjoyed the questions, discussion and joy of this class I teach. They are hungry students to learn! The work of our children’s SS teachers. Their heart for the kids to grow in Christ is so evident. Their decorated rooms are so inviting! Thank you for giving of yourself to the Lord and these children! Thanks, too, to all the nursery, Children’s Church and Tiny Tots workers!! The teen ministry as we watch them mature in Christ under Andrew and Alli’s leadership! Loved seeing them seated on the front row yesterday morning, listening, worshipping, and learning! The hospitality tents this morning that welcomed everyone to the services. Great job, David! Also, all the greeters who were ready and willing to serve at the Welcome Center! The anticipation of everyone coming to see what God was going to do in the services! Hard to beat the singing and music at BCBC! Love to watch and listen to the congregation as they lift their voices to the Lord! The choir and the Larson family “knocked it out of the park”!! How marvelous to see visitors that our people had worked so hard to invite attend the service. There is such joy in preaching the Word of God, verse-by-verse, as we work our way through Philippians! The Word works!! How blessed to pastor a congregation that wants to grow and change! What a special moment it was to recognize the Carter’s who gave the land to the church and have been faithful members for 58 years. They have served so many!! Also, we recognized the charter members, including the Carter’s, and especially Emma Sue Glass who is the oldest living member at 95 years old and still cuts her grass!! 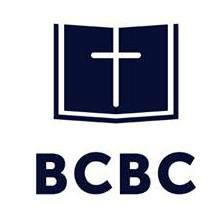 Further recognition was given to all who had trusted Christ as Savior in the last year as well as all who had started attending BCBC since last October. Now, that was a great moment right there!! The meal in the gym was fabulous! Thanks to Renee and Karen for their leadership in getting the gym in harvest mode!! A special thank you to all who worked behind the scenes to make the day what it was! An extra heartfelt thank you to the congregation for their kind and gracious gifts for Pastor Appreciation! You all are the best!! Denise and I are truly honored to serve the Lord here with you all! As we continue on for Him, let’s keep our sole focus on the Gospel which will produce past, present and future rejoicing! So, has your week started with a “Monday”? No, the week has in truth begun on Sunday, a day of joy and celebration! The same God who met with us yesterday at church is there to meet with you all day today so you can enjoy fellowship with Him. His invitation is continually, “Come unto me” (Matthew 11:28). Have an awesome Monday!! Your week started yesterday!! Yesterday was a special day—National Coffee Day!! Now’s that a sure celebration waiting to happen!! So as I poured my first cup, I celebrated as I added my always present favorite cream peppermint mocha and took a sip! Then I poured another cup into my UK Wildcats mug just as I had done before and celebrated once again! This same event happened a third and fourth time as the morning moved along. To add happiness upon happiness, I received an email from my favorite coffee source, Dunkin Donuts, inviting me to stop by their store and enjoy a free cup of the new brew of dark roast! So, as I drove from one hospital visit to the next, a stop at DD caused another celebratory moment! Since I love coffee so much and drink it from morning until night, I celebrate all day!! As I prepared one of my cups yesterday morning and took a picture of it for Facebook and Instagram, the thought occurred to me, “This thing of celebrating should be an every day event for the followers of Christ!” Yes, I really do love my coffee, and I love to celebrate, but genuine rejoicing and celebration is the grace gift of every believer in Christ! We should celebrate all day, every day, throughout the day, . . . just like drinking coffee!! We have been born again to a living hope through the resurrection of Jesus Christ (1 Peter 1:3). We have an inheritance reserved in heaven for us that is incorruptible, undefiled and will not fade away (1 Peter 1:4). Our salvation is secured by the power of God forever (1 Peter 1:5). We can rejoice in the midst of suffering (1 Peter 1:6-9). We can rejoice that trials have a “shelf-life” (1 Peter 1:6). The character of our faith in trials will one day testify of Christ (1 Peter 1:7). The more we know of Christ and abide in Him, the more we have to celebrate and be joyful (1 Peter 1:8). We can enjoy our salvation today (1 Peter 1:9). I have just mentioned a very few reasons to celebrate! So, if you are a born again believer, a true follower of Jesus Christ, today is a day of celebration of all we have in Christ for time and eternity! So, take a drink of coffee and celebrate!